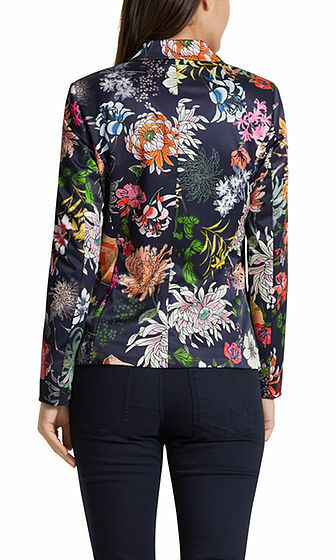 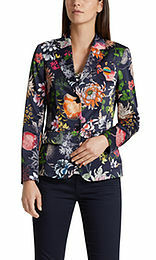 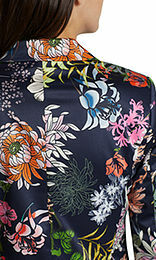 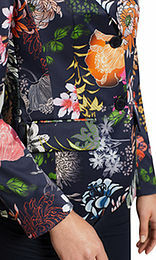 Blazer printed with Japanese flowers in a stretchy material blend for exceptional comfort. The blazer has a lustrous sheen, flap pockets and is fastened with two buttons. 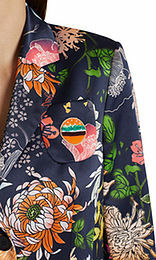 The quirky hamburger appliqué on the breast pocket provides a distinctive accent.